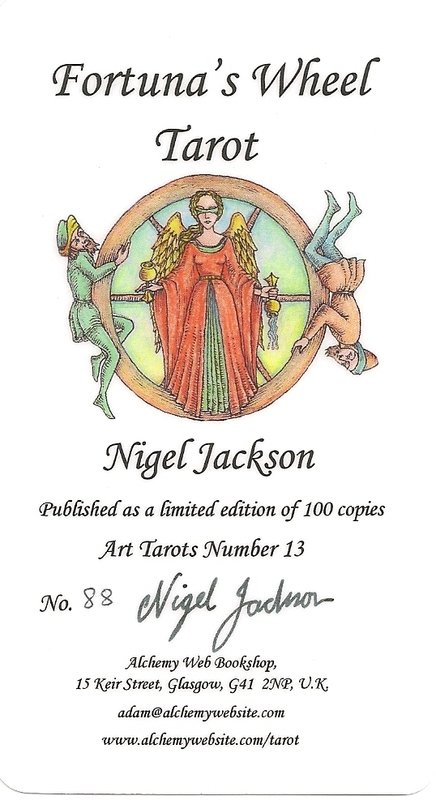 Nigel Jackson is an artist, symbolist and esotericist known for his Medieval Enchantment Tarot produced in 2000. 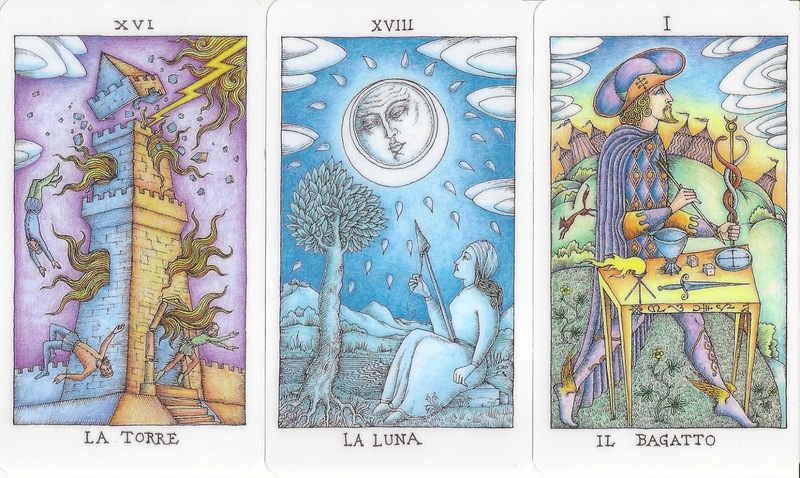 His Fortuna's Wheel Tarot is in the same style with detailed pen drawing and luminous glowing colours. My copy is number 88 of a limited, numbered, signed edition of 100. 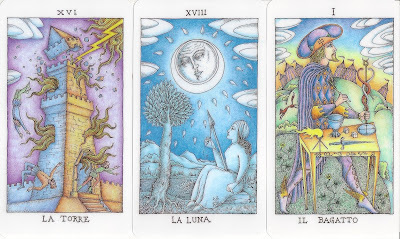 A book for this deck is published seperately and can be found here.